One of the first and most common questions many of our real estate clients inquire with us on is what material options do I have for my signage needs? Most real estate professionals have been around long enough to be familiar with the standard wood for sale sign you see positioned on yards throughout the communities. When comparing woods used in the sign industry, and in particular, the real estate sign industry, you often see two types of wood products, so let’s discuss these first. 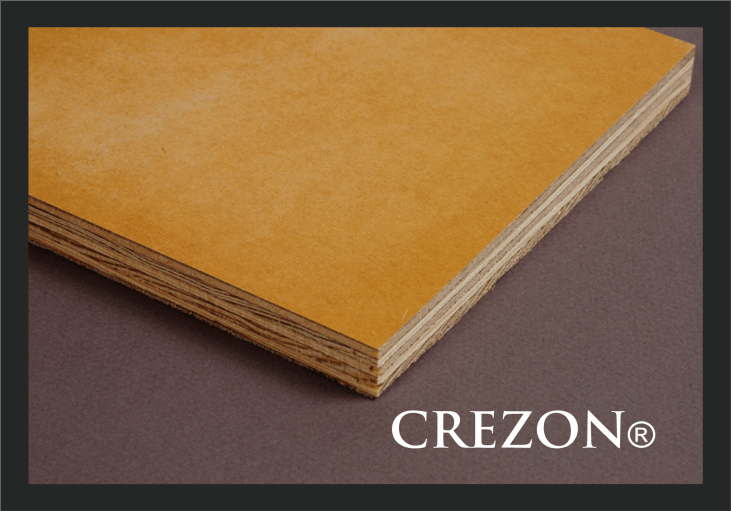 The two wood products often seen are Crezone or MDO board and MDF board but what is the difference you may ask? 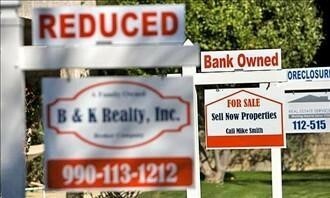 : real estate open house/just listed a-frames are, most often, what these two wood products are normally found in. 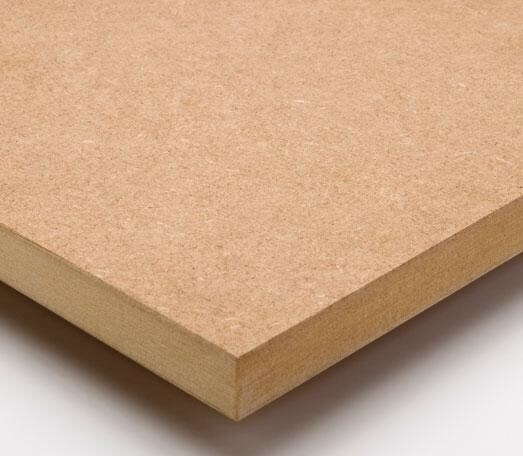 MDF or medium density fiber board, is similar to particle board but much denser and stronger. The benefits of using MDF board for the sign industry is that it has a consistent hard smooth surface which is imperative for those who utilize direct printing equipment; it is often less expensive and it is easy to paint and finish. The drawback of MDF is that it may swell and break when coming into contact with water or moisture. When you consider the applications for real estate sandwich board signs, that sit against the ground in all types of weather conditions, this is a very negative drawback. MDO board, which is the board of choice at our shop and many others that we know well here in the city, is our board of choice. MDO or Crezone, as I will call it from here, is constructed of a smooth overlay on an actual plywood of Douglas Fir/Hemlock construction. It also has a waterproof bond for water/high humidity resistance and can be nailed or screwed close to the edges. The longevity of Crezone makes it a perfect choice for the industry. The standard panel sizes are 4×8 and 4×10 so when extra-large signage is required that incorporates crezone, the sheets are placed together side by side or top to bottom to complete the finished image. Another popular substrate that everyone is well familiar with is the old standby “coroplast”, also known as corrugated plastic. When used in the sign industry, coroplast is normally used in thicknesses of 4 mil, 6 mil or 10 mil. 4 mil coroplast is the best choice for very light condo signs that are required to sit up within a window sill to face outwards towards the traffic passing by. 6 mil is a bit sturdier and can be used when a rider is exceptionally long and there is a concern of the 4 mil bending on the crease of its flutes. 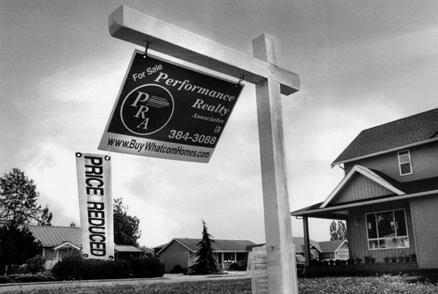 10 mil coroplast is the norm when utilizing coroplast for the actual hanging for sale signs. The 10 mil option has twice the weight of the 4 mil and is tough and durable until it has been exposed to the sun over a long period of time, in which case, any coroplast product will then begin to become brittle. Coroplast for sale signage is a personal choice when it comes to looks. It is very convenient for the agent who has to do their own installs, especially out of town, where installer’s fees can become quite high. There are specific strong stakes that can be used for 10 mil coroplast that make installing it yourself, easy and economical, especially for some ladies out there. However, when it comes to the overall appearance of your for sale sign, for the cost difference, coroplast cannot hold its own when put against wood or the newer aluminum composite panels. That brings me now to discussing another newcomer on the for sale sign scene; ACP which stands for aluminum composite product. Although, ACP was introduced in 1964 for specific building construction projects, it has since become a popular choice for many signage applications. It’s a lightweight alternative for larger outdoor signage, especially when mounted to the exterior of buildings, making it an excellent choice. It’s also an excellent choice for printing directly onto due to its smooth surface. ACP consists of a thermoplastic polyethylene core that is sandwiched between two outer flat aluminum panels. 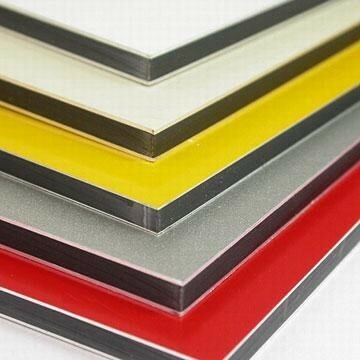 The core is bonded between the two aluminum sheets, providing a very lightweight, flat, smooth and strong rigid surface. ppearance, especially if it has been laminated as well to give that beautiful high gloss depth to the colors and graphics. 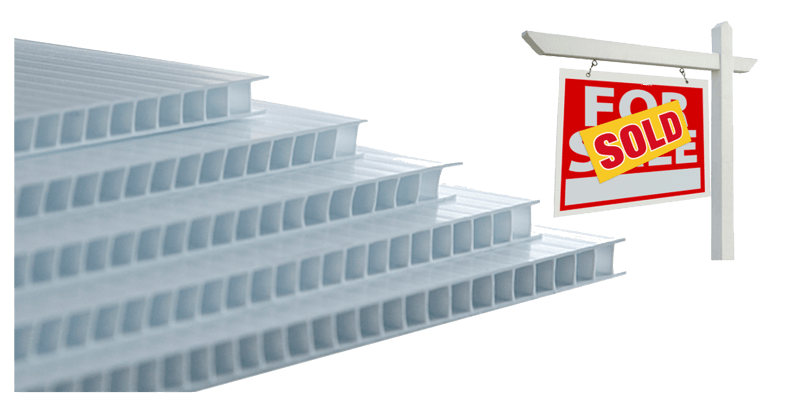 Aluminum composite’s lightweight factor is also a benefit when the size of the for sale sign is such that there is a huge weight bearing load on the sign post. The negative effect of weight bearing signage is often seen during winter when it’s difficult to pound the stakes into the ground very far. Then when the spring comes, the sign post begins to lean heavily and of course, the heavier the for sale sign, the more exaggerated the lean. Now, let’s look at a few of the downsides of aluminum composite. Wind is one of the main considerations when choosing whether or not aluminum composite is the right choice for your real estate signs. If you are locating your real estate signs within sheltered locations inner city, then the concerns are reduced but if you are installing your signs on higher exposed locations or out of town, where there is little to obstruct the wind, then good old crezone is the better way to go. One other item that should be noted about ACP is that should you drop it from a few feet off the ground onto its corner, then you can expect some damage that is not repairable. Well, here’s a start to some thoughts one may wish to put towards their signage and hopefully some useful info so that when you are making those choices and selections out there, you have some idea as to why one product is selected over another or why consideration should be given when making those decisions. I’m trying to find some good sign options right now for a 5K event that will be happening this spring. This actually helped me out a lot because I need something that will be quick and easy to install on my own because there will be several of them. The coroplast option seems like my best bet, and worth my investment. Thanks for helping me out! If you are looking for temporary signage that is easy to install and economical as well, coroplast is an excellent choice for an outdoor event as you are suggesting here, Kyler. If spot colors are being implemented, silkscreening them will be the most economical way to go. For installation periodically along the ground, you can use the 4 mil metal stepstakes cut to 15″ sizing for around $1.50 ea or use the wooden 2″ x1″ stakes available at your local building supply store. Glad I could be of some assistance and thank you very much for taking the time to leave us with a comment on our first blog. formidable job and our entire neighborhood shall be grateful to you.